hd00:35Young Woman laying on a couch uses SmartPhone with pre-keyed green screen. Few types of motion - scrolling up and down, tapping, zoom in and out. Perfect for screen compositing. 10bit ProRes 444.
hd00:31Young Woman in white jeans laying on couch uses SmartPhone with pre-keyed green screen. Few types of gestures - scrolling up and down, tapping, zoom in and out. hd00:10Young Woman in white jeans sitting on couch holds SmartPhone with pre-keyed green screen. 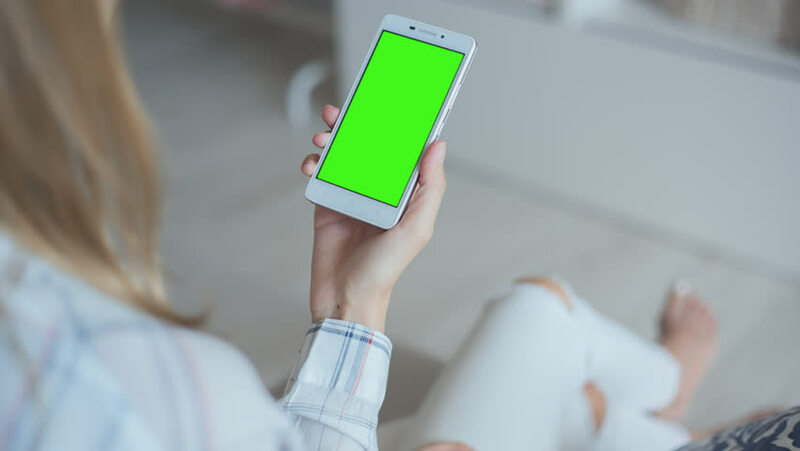 hd00:32Young Woman in white jeans sitting on couch uses SmartPhone with pre-keyed green screen. Few types of gestures - scrolling up and down, tapping, zoom in and out. hd00:30Young Woman in white jeans sitting on couch uses Tablet PC with pre-keyed green screen. Few types of gestures - scrolling up and down, tapping, zoom in and out. hd00:34Young Woman laying on a couch uses tablet PC with pre-keyed green screen. Few types of motion - scrolling up and down, tapping, zoom in and out. Perfect for screen compositing. 10bit ProRes 444.